Optus recently announced the expansion of its 4G network across sites in Adelaide, and with Internode piggybacking on Optus' network, it was only a matter of time before the mobile virtual network operator (MVNO) launched its own 4G mobile offerings. Offered on month-to-month contracts, there are four plans to choose from, starting with the Starter $15 plan that will get you 200MB of data and $200 of credit, while the Value $30 plan offers 1.5GB, $500 of credit and unlimited SMS. Higher up on the scale, the Premium $45 will give you $800 of credit, 3GB of data and unlimited SMS. The Platinum $60 will get you also 3GB of data, but with unlimited calls as well as SMS. 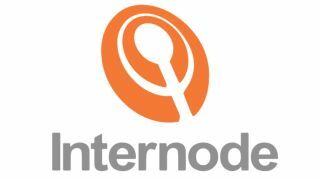 While it is good to see more players in the 4G mobile space offering up alternatives, the major condition of Internode's NodeMobile plans are that it is only offered to current Internode fixed-broadband customers. This is a similar caveat that iiNet and TPG both have in place as well, but the bundling may drive other customers away. Internode's plans will require you to bring your own 4G compatible device, though the MVNO is offering up for purchase the Samsung Galaxy Note 2 or Galaxy S4 to pair with its NodeMobile plans. It should also be noted that at sign up, there will be a one-off $15 SIM purchase fee and $5 SIM delivery charge.